The rainfall from the month of September apparently didn’t play on the moral of Alsace producers who realised they had to stay calm, remain patient and who now discover an excellent vintage year in their wine cellars. Let’s not forget that this vintage year started out under the best auspices thanks to an initial lead time due to a particularly dry and sunny month of May. And being in advance was not at all challenged during the vineyard growth cycle. After a fairly variable month of July, the sweltering month of August helped enhance the ripening and even resulted here and there in some bunches getting burned – a most unusual event! The first ripening checks revealed particularly high sugar contents, having the year 1998 be among the most early harvest years of these last decades. The harvest start dates are perfect witnesses to the above, set on September 15 for AOC Crémant d'Alsace and September 24 for AOC Alsace and Alsace Grand Cru. The rainfall during the month of September most definitely slowed down the ripening progress and boosted the development here and there of noble rot. The harvest volume dedicated to Crémant d'Alsace progressed yet again this year, therefore meeting the regular increase in demand and being present for the year 2000. In addition we can notice that the producers used a lot of Riesling in the blending of this appellation to preserve its great acidic balance. The volumes of Vendanges Tardives and Sélections de Grains Nobles, without of course reaching record numbers like the previous year, were at a totally acceptable level. And for the first time, the volumes harvested in Sélections de Grains Nobles (10 929 hl) exceeded those for Vendanges Tardives (10 856 hl), thus showing the intensity of concentration phenomena related to the development of noble rot during late autumn. In general the 3 protected designation of origin appellations, Alsace, Alsace Grand Cru and Crémant d'Alsace totalled a production of 1,211,000 hl, slightly higher than the previous year. Muscat, picked very early, reveals a certain suppleness and wonderful aromatic purity. The composition of Pinot, Sylvaner and Riesling is very similar to that of last year. These wines are straightforward, aromatic and on the whole well balanced with acidity levels proving to be superior to what could have been imagined given the early ripeness of this vintage year. Tokay Pinot Gris is well concentrated and Gewurztraminer, very homogeneous, has a fantastic aromatic intensity. 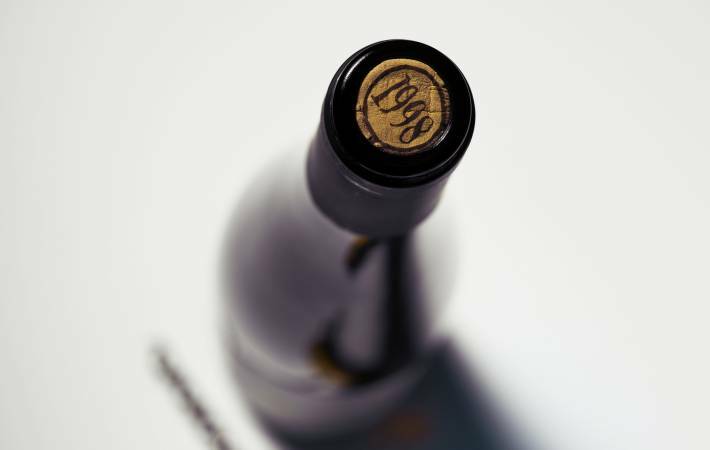 The fruity 1998 vintage year wine character is often emphasized, regardless the grape variety, and if the presence of noble rot made it age faster than certain cuvées, Gewurztraminer and Pinot Gris still provide beautiful aromas of stone fruits, peach, apricot and even plum. The cuvées harvested after the rain allowed for great ripeness and the large volume of Sélection de Grains Nobles produced this year is godsend as the wines evolve perfectly well when ageing.